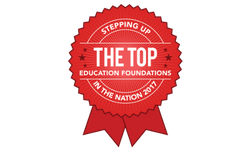 The Morris Educational Foundation funds projects in the ten Morris School District schools that create new models for learning, enrich the curriculum, promote self-esteem, enhance and expand enrichment opportunities, help teachers grow professionally, and directly involve as many students as possible. Our goal is to ensure the highest level of educational innovation to support students and staff in a partnership of lifelong learning. We want your grant application process to be seamless. Before you begin filling out the grant application below, we encourage you to review these helpful tips. We are happy to help you navigate through our grant application process. If you have an innovative and creative idea, we encourage you to contact the Grants Committee Chair Ann Rhines at 973-539-3587 or abrhines@aol.com. We require principal or supervisor approval before we can proceed with the grant review process. When your application is submitted, we will verify approval. If your grant idea includes technology or electronics, Morris School District Director of Technology approval is required before we can proceed with the grant review process. When your application is submitted, we will verify approval. This application requires detailed information about your project including a description, correlation to Core Curriculum Standards, and an itemized budget. Supplemental content can be uploaded in the "Additional Information" section below. Grants are awarded 5 times throughout the school year, in September, November, January, March, and May. To guarantee review during a specific month, applications must be received by the end of the previous month. 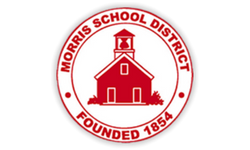 If approved by the MEF board, the grant is presented to the Morris School District Board of Education for approval at their next scheduled meeting. The calendar of Board of Education meetings is posted on the Morris School District website. Please fill out and submit the application below to begin the grant review process. To download a Word document version of the grant application please click here. Include the grade level(s) and number of students, faculty, and community members involved. Include a summary and description of grant project. If my project lends itself to replication at other schools, I agree to share and educate others in the district. How would this project relate to the curriculum? Please list (cite) how this activity is aligned to the NJ Core Curriculum content standards. As a result of this grant, what benefits will students and staff realize and what will be the impact on learning? We would like this project assessed by the district. How, when, and by whom will this project be assessed or evaluated? I understand the money will be used solely for the items listed in the detailed budget below. Please note, the funds for all grants approved from July through March expire on June 30th. The funds for all grants approved from April through June expire on December 31st. Please provide budget details for this project. This is for reference purposes only. Please note that specific vendors may change due to state purchasing laws. If you will receive other funds for this project, please indicate the total amount and source. Please provide information about outside consultants, speakers, residents, and/or contracted visitors. You will be responsible for partnering with the MEF in marketing efforts related to your grant. The MEF expects to participate in culminating activities (ie. workshops, performances, presentations, and trips). A written report within two months of the completion of your grant evaluating your project is required. How and when will you share your project with the Morris Educational Foundation? How do you plan to provide materials (ie: time-line, digital photographs, student feedback and quotes, and newsletter articles) for MEF marketing efforts? Please upload any additional information on description, curriculum, budget, etc. I understand that this grant application must be approved by my building principal or supervisor in order for the Morris Education Foundation to proceed with the grant review process. The MEF strongly suggests you share your idea with your principal or supervisor prior to submitting your application to help expedite the review process. Upon submitting this application, the MEF will share it with your principal or supervisor to confirm approval. All grants that contain technology or electronic equipment must be approved by the District Director of Technology. I have reviewed this grant application and acknowledge it contains technology or electronic equipment. We strongly suggest you contact the MSD Director of Technology before submitting this application to expedite the review process. Upon submitting this application, the MEF will share it with the MSD Director of Technology to confirm approval.